Cartier: History, Models and Prices. New & Vintage. Discover the world of Cartier watches online. Cartier is not only known for its watches as it is also one of the most famous jewelers in the world. The Cartier symbol is the mysterious panther, which was granted center stage in the Panthère Collection. Since the year 2000, Cartier has produced its own movements in the traditional Suisse town of La Chaux-de-Fonds. Throughout the history of the company, Cartier has launched several remarkable models, including the Santos, the Tank, and the Pasha. The name Cartier is known around the globe for pure luxury. But in addition to fine jewelry and exquisite accessories, Cartier timepieces follow the philosophy of the traditional watch manufacture. Cartier is one of the most famous jewelers worldwide and the long history of the label has resulted in an influential name. In Paris 1847, Louis-Francois Cartier took over the jewelry workshop of his master and established Cartier. During that time, the talent and craftsmanship of Louis-Francois Cartier cause quite the stir. Among the first well-known supporters of the brand included princess Mathilde – a cousin of Napoleon III – who was greatly inspired by the work of Cartier. Among other influentials, the French empress Eugénie was a prominent client who had ordered many pieces from the gifted jeweler. However, the increasing success of Cartier took its toll when the studio grew too small for the increasing demand of fine jewelry. 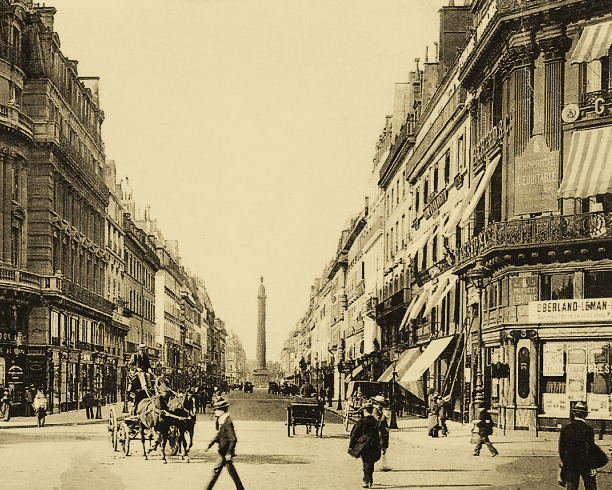 The expansion of the company became inevitable and Cartier was able to move his workshop to the Parisian "Boulevard des Italiens". He then also expanded his product range to include high-quality self-manufactured luxury watches. A change in leadership at the house of Cartier occurred in 1874 when Alfred Cartier, the first son of Loius-Francois, took over the business. With an exceptional passion for beauty and a keen insight into luxury, the French jeweler gained yet more popularity. Within a short period of time, Cartier captured the hearts of royal European dynasties and worldwide influentials, including the family of the Russian Tsar, the splendour loving Maharajah and Maharani of India, and the stars and starlets of Broadway and Hollywood. When it came to timepieces, the initial Cartier assortment primarily consisted of pocket watches. From 1888 onwards, however, Cartier began to produce wristwatches. The first wristwatches comprised of jewelry watches for women, who quickly discovered the appeal and comfort of wearing a luxurious Cartier watch. Alfred Cartier then began to concentrate on the expansion of the brand in the field of luxury watches, which he designed as pocket watches, pendulum clocks, and wristwatches for women. The initial appeal of the watches soon grew into great success, when in 1889, Louis – the eldest son of Alfred Cartier – joined the company. He was later joined by his two brothers, Pierre, and Jacques, and together, the three brothers strongly established the Cartier name worldwide. In 1902, Pierre and Jacque opened the first Cartier branch in London. With the expansion of the company, Cartier was issued a royal warrant as King Edward VII, who referred to the company as "the jeweler of kings", ordered 27 tiaras from the prestigious company. In 1907, Cartier expanded to Russia. Shortly following in 1909, Fifth Avenue New York was able to admire and enjoy the exquisite works of Cartier. Louis Cartier passed away in 1942 and Pierre Cartier followed in 1965. These were hard times for the Cartier company as the Second World War brought about challenges. The company was split into three parts among the immediate family of the three Cartier brothers, and in 1974, a group of investors purchased the enterprise and Cartier became "Cartier Monde". Since 1997, Cartier has belonged to the Suisse luxury watch group Richemont. Between the years 1904 and 1939, Cartier received 15 appointments from monarchs and became the official purveyor to various royal dynasties. In 1926, Cartier created a unique headdress for the Maharaja of the former princely state Kapurthala, which incorporated 19 rare and deep-sea coloured emeralds – the largest of which weighed 117.4 karats. Today, nobles can still be spotted adorning Cartier pieces at high-profile events. The future monarch of the United Kingdom, Catherine Middleton, the Duchess of Cambridge, who is well known for her elegant and inspiring style, can be seen wearing a Cartier Ballon Bleu ladies' watch on her wrist. In addition to animal motifs and floral ornaments, Cartier women's watches also incorporate a distinctive wildcat: the gracious panther. The glittering wildcat symbolizes a life of luxury and extravagance. It comes as no surprise then that the timepiece continually decorates the wrists of influential individuals and worldwide celebrities. As the story goes, the Cartier trademark symbol, the prowling Panther, leads back to one of the most influential directors that the company has ever known. Jeanne Toussaint (1886-1976) was given the nickname of Panther and she unleashed the feline elegance of the wildcat on Cartier creations. She decorated the roaring 20s with the popular "Panther Ring"(1935) and continued to inspire with the Love and Trinity jewelry collection. Modern yet practical, Toussaint always kept in mind the final effect that she wanted her creations to bestow on lovers of the Cartier brand. Drawing inspiration from magical works of art, she created pieces of jewelry and classic watches in art-deco styles. Today Cartier pays tribute to the admirable Créatrice: The characteristic, graceful Panter can be found in every Cartier boutique and adorns both the jewelry and the watches of the house. The artfully designed Promenade d'une Panthère watches celebrate the symbol of the wildcat and everything that it stands for – feminine elegance, independence, and free thinking. Many clients are also aware of the Cartier Panthère collection that is no longer manufactured today and is, therefore, in high-demand on the second-hand market. In the past, Cartier's strong connection to jewels and the tradition of jewelry making allowed the creation of men's watches to fall into the background. Although Cartier collections such as the Cartier Tank or the Cartier Santos convince with masculine elements, the detailed design of women's watches have gained the upper hand when it comes to the product range of the luxurious company. Cartier movements are sourced from a long-standing cooperation that the company has had with Jaeger-LeCoultre, who retains a great reputation as a Swiss watchmaker. For several years now, a new philosophy prevails in the Cartier house: under the direction of Carole Forestier, the development of the company is focused on watchmaking technology and high-precision standards. As the current chief developer, Forestier provides – with passion and energy – top craftsmanship in design. Following the year 2000, Cartier opened its Maison de Métiers d’Arts in the Swiss watch town of La Chaux-de-Fonds and the company became a major name in Haute Horlogerie. The company also presented its first caliber, the Cartier caliber 1904, demonstrating the new focus of the company. Lacking in adornment and outfitted with efficient and reliable mechanisms, the complete in-house production of luxurious Cartier timepieces has been fully demonstrated. Since then, a series of Cartier manufactured calibers have been produced, and the watchmakers continue to surprise yearly with new finesse. Luxurious watch collections from the traditional house of Cartier delight watch enthusiasts worldwide. The "Cartier Santos" is an exceptionally renowned collection that was presented in 1904. The Cartier Santos has been classified as the very first pilot's watch as well as one of the first men's watches created by Cartier. The pilot's watch came about as a result of a collaboration between two close friends: Louis Cartier and aviation pioneer Alberto Santos Dumont. A cascading wave of success came along with the commercial production of the Cartier Santos in 1911 and propelled the Cartier brand forward in the field of luxury watches. In 1917, the Cartier Tank spurred a sensation with a shape that is reminiscent of a tank. Evidently, the wristwatch drew inspiration from a battle tank and symbolically, the timepiece represents the liberation of France. Following the year 1932, a Cartier watch was produced for the Pasha of Marrakech thereafter resulting in an aftershock of numerous draft design and countless variations. One Pasha draft, in particular, was created by the legendary watch designer Gérald Genta. Currently, both the Tank and the Pasha are still among the watch collection from Cartier. The models are recognized and appreciated around the globe and never cease to amaze with their exceptional design and historical backgrounds.